George K. Epp was born 26 October 1924 in the Mennonite village of Osterwick (Pavlovka) in the former Chortitza Settlement. His parents were Maria and Kornelius Epp. His father was a school teacher by profession and a respected lay preacher by calling. Being a teacher was a risky occupation in the new Soviet "Workers' Paradise" of the 1920s. In 1923 the Soviet government introduced laws prohibiting preachers from serving as teachers, and vice versa. While this decree was aimed primarily at the Russian Orthodox Church and its 50,000 or more church schools, it struck Mennonite communities hard as well. Kornelius Epp was unwilling to compromise his principles, and was dismissed from three successive teaching posts—Schönwiese, Osterwick and Franzfeld—within a five-year span. The family moved from Osterwick to Franzfeld (Varvarovka) in the Yazykovo Settlement only weeks after George's birth, and for some unknown reasons George's birth was "officially" registered in Franzfeld rather than Osterwick. George spent his difficult, yet happy, childhood years in Franzfeld. He attended school in the neighbouring village of Nikolaipol and was known for his discipline and diligence. While most boys had enough of school after seven years and went out into the workforce, George hoped to continue his education. He was able to complete his eighth grade at the school in Neuendorf. He apparently had ambitions of working in the agricultural sector. During the summer months he worked on the collective farm. On 21 June 1941 Germany invaded the Soviet Union and George's life changed forever. At the age of sixteen he was drafted into the German Wehrmacht and, given his command of the German, Ukrainian and Russian languages, was given an assignment as interpreter. As the German army retreated westward after 1943, George eventually ended up in southern Bavaria where he was captured by the American army. Fortunately, George was released shortly after the war ended, and in 1947 he was among the first group of Mennonite refugees to leave Germany for Paraguay on the Volendam. In the Volendam Colony he met and married Agnes Froese in 1948. Together they shared the hardships of pioneer life in a new land. The community soon recognized his teaching gifts, although he had no formal pedagogical training, and hired him to be their school teacher. After his baptism in 1950, George also began his lay ministry in the church - thus continuing a long-established family tradition. In December 1954, George and Agnes immigrated to Canada. Within days of his arrival in Winnipeg on 20 December 1954, he was offered a job as lab assistant to Dr. Campbell in the chemistry department at the University of Manitoba. George became an accomplished glass blower, making test tubes, beakers and other glass apparatus for the lab. The complex Pyrex glass vacuum system that he built to store gases for chemistry research at the University of Manitoba still stands as a monument to his skills. Already fluent in Russian, Ukrainian, German, and Spanish, George began studying English and taking night-school classes to complete his high school requirements. In addition to his work in the lab, George then enrolled at the University of Manitoba and earned BA and MA degrees in German. His MA thesis, entitled "Rilke und Russland" was completed in 1968 and published in 1984. In 1976 he earned his Ph.D. in history with a dissertation on "The Educational Policies of Catherine II." George gave up his career as a glass-blower in 1968, and began a long and distinguished teaching career. He taught at the Mennonite Brethren Bible College and College of Arts, the University of Manitoba, Canadian Mennonite Bible College, the University of Winnipeg and Menno Simons College. 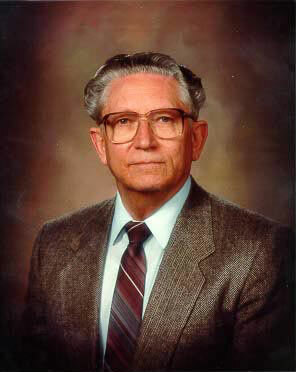 From 1978-1983 he served as President of the Canadian Mennonite Bible College; from 1985-1992 he served as Director of the Mennonite Studies Centre and helped to establish its successor -- Menno Simons College. He retired from Menno Simons College in 1992, but continued his involvement with the Hutterian Heritage Teachers' Training program, where he taught church history. In addition to his teaching duties he also served as a lay minister in the Sargant Avenue Mennonite Church, Springfield Heights Mennonite Church and Douglas Mennonite Church. He also worked on many conference committees such as the editorial advisory board to the German-Mennonite paper Der Bote. George K. Epp died of cancer in Winnipeg on 25 October 1997, one day short of his 73rd birthday. He is remembered as a man with a diverse range of interests and talents: a master glassblower, a dynamic teacher, a passionate public speaker, a capable college administrator, and a renowned scholar in various disciplines—ranging from Anabaptist history and theology, Russian and Soviet Mennonite history, to Mennonite literature. He was a man of courage, deep conviction, passion, determination, discipline and sincere humility. He was a man of faith and vision who looked not only to the past but also to the future. Above all he was a man deeply devoted to his family and to his fellowship of faith, a sensitive pastoral counselor, and a dear friend, always ready to listen and take time for people. Canadian Mennonite Bible College fonds - George K. Epp files. Mennonite Heritage Centre Archives (Winnipeg, Manitoba). Letkemann, Peter. "In Memoriam: George K. Epp (1924-1997)." Mennonite Historian XIV, No. 1 (March 1998): 4. Brown, Sharon H. H. "Epp, George K. (1924-1997)." Global Anabaptist Mennonite Encyclopedia Online. March 2006. Web. 21 Apr 2019. http://gameo.org/index.php?title=Epp,_George_K._(1924-1997)&oldid=123417. Brown, Sharon H. H. (March 2006). Epp, George K. (1924-1997). Global Anabaptist Mennonite Encyclopedia Online. Retrieved 21 April 2019, from http://gameo.org/index.php?title=Epp,_George_K._(1924-1997)&oldid=123417. This page was last modified on 5 July 2014, at 05:24.